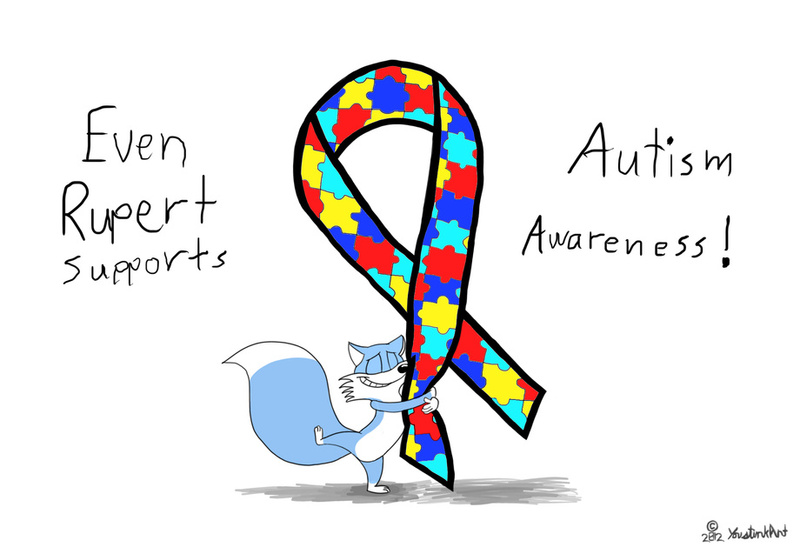 In fact, I made this for a group that supports everyone with ANY form of autism! Myself included. I hope you like! That is ONE BIG ribbon!!! Yes... I was diagnosed with Aspergers at age four. asperger....one just gotta love when "psychologist" diagnose anything on people just so that they can justify their payment. I too was told i had adhd because i didnt pay attention in class...because i didnt need to. I got bored to death there having to hear the same thing over and over when i learned it in the first class...and on top of that i can even pay attention to more than one thing at the same time. Autism can be a serious thing but these guys will say 100% of kids below 9 has asdfqwerty syndrome just so that they can look important. The sad part is most people dont get that kids are just kids. There should also be a awareness campaign to raise awareness about lousy psychologists labeling kids as mentally ill just for being kids.